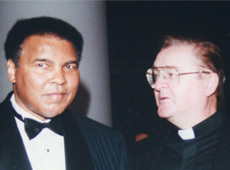 Sean Mc Manus & former boxing champ, Muhammed Ali. “Whatever it means and no matter why she said it, this is an extraordinary statement from the British Prime Minister. A United Ireland will move dramatically closer if the ‘backstop’ is removed from the Brexit deal, British Prime Minister Theresa May has said. In a warning that caused significant surprise in Dublin, Mrs May openly admitted that voters in Northern Ireland may want to join the Republic rather than see Border posts re-erected. “They (in Northern Ireland) do not want a return to a hard Border. And if this House cares about preserving our Union, it must listen to those people because our Union will only endure with their consent,” she said. On another day of shambolic politics in Westminster, the prime minister delayed today’s so-called ‘meaningful vote’ on the Withdrawal Agreement and vowed to seek further reassurances from the EU on how the backstop will work. Taoiseach Leo Varadkar and EU leaders have totally rejected the idea of reopening negotiations that took more than 18 months to complete. Sources in Dublin questioned what further guarantees could be provided, noting that the acceptance of a UK-wide backstop rather than one specific to the North was already a major concession. However, it was Mrs May’s suggestion that Northern Ireland could leave the United Kingdom that caused most surprise. “Businesses operate across that Border. People live their lives crossing and re-crossing it every day. “I’ve been there and spoken to some of those people. They do not want their everyday lives to change as a result of the decisions we have taken,” the prime minister said. 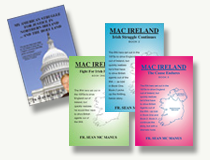 The Good Friday Agreement gives prominence to the ‘principle of consent’ which affirms the legitimacy of the aspiration to a united Ireland while recognizing the current wish of the majority in Northern Ireland to remain part of the United Kingdom. Mrs. May’s U-turn came after she and senior ministers had spent days insisting the vote would go ahead, despite the scale of opposition. Her statement in the House of Commons yesterday is also a clear signal that her relationship with the DUP, which had been propping up her government, is all but over. In a nod to the heightened possibility of a cliff-edge Brexit, Mr. Tusk said a special European Council meeting on Brexit this week will also discuss preparedness for a no-deal scenario. Fianna Fáil urged the Government to ramp up preparations here for a no-deal scenario following the chaotic scenes in Westminster. Mrs. May is now expected to canvass EU leaders in a bid to secure additional reassurances for MPs on the backstop. It is believed she is seeking a declaration of sorts on the backstop which would underline its temporary nature in an effort to win over critics in the House of Commons. However, last night there were no immediate plans for a meeting between the embattled Tory leader and the Taoiseach before the Brussels summit. The pound plummeted to a 20-month low as events played out in Westminster. However, the markets are set for continued uncertainty as there has been no date set for a new vote on the deal. Speculation was mounting that it would be January at the earliest before the treaty is again put to MPs. A deal must be ratified by January 21. • Read more: Explainer: What happens next if Theresa May loses the crucial Brexit vote? British Trade Secretary Liam Fox said he would prefer a post-Christmas vote rather than “rushing” through the deal. The arch Brexiteer warned without a “hard and fast” guarantee that the UK would not be bound indefinitely to Europe by the backstop, the two outcomes on the table were a crash out next March or no Brexit at all. The prospect of a snap election in the UK has also come into sharper focus. Amid ferocious backlash to the deal on the table and the decision to postpone the vote, Mrs. May was faced with shouts of “resign” as she finished outlining her decision. Labor Party leader Jeremy Corbyn was last night resisting calls from smaller opposition parties and his own MPs to table a vote of no confidence in Mrs. May.